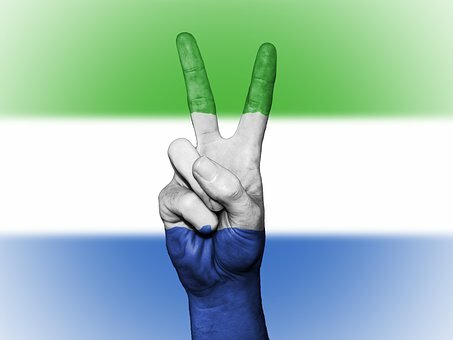 The position of a Governor-General was provided under the 1961 independent constitution of Sierra Leone. The Queen of England was still the Head of State but she was resident in London so she could not directly function in her position inside Sierra Leone. She was therefore represented by Mr. Maurice Henry Dorman as the Governor-General. The Governor-General functioned at such as the opening of parliamentary sessions, inspected guards of honour, and received credentials from ambassadors and High commissioners. He represented the Queen of England who was resident in London at other important functions where the queen should have been there instead. Another function of the Governor-General was to bills into laws. After the bills are passed in the Legislature, the signature of the Governor-General was required before it could become law. The Governor-General appointed the Prime Minister. The party that won majority seats in the in the general election, automatically formed the government of the day. The leader of that party in the Legislature was appointed by the Governor-General as the Prime Minister. The Governor-General had the power to grant pardon to prisoners who had been sentenced into various terms of imprisonment for breaching the laws of the land. He could commit a death penalty to life imprisonment. He could pardon prisoners and get them freed on grounds of ill-health or of good conduct. The end one parliamentary session is usually associated with a ceremony to officially bring the session to a close. This function was attended by the Governor-General to officially end that particular parliamentary session. The Governor-General was granted the power to remove the Prime Minister from office under the 1961 independent constitution. This could happen if the Prime Minister lost the confidence of the members of the House of Legislature. The Governor-General also had the power to dismiss a minister of government under the recommendations of the Prime Minister, if that minister misbehaved or went contrary to the provisions of his position. 1. a. Describe the position of the Governor-General under the 1961 independent constitution of Sierra Leone.